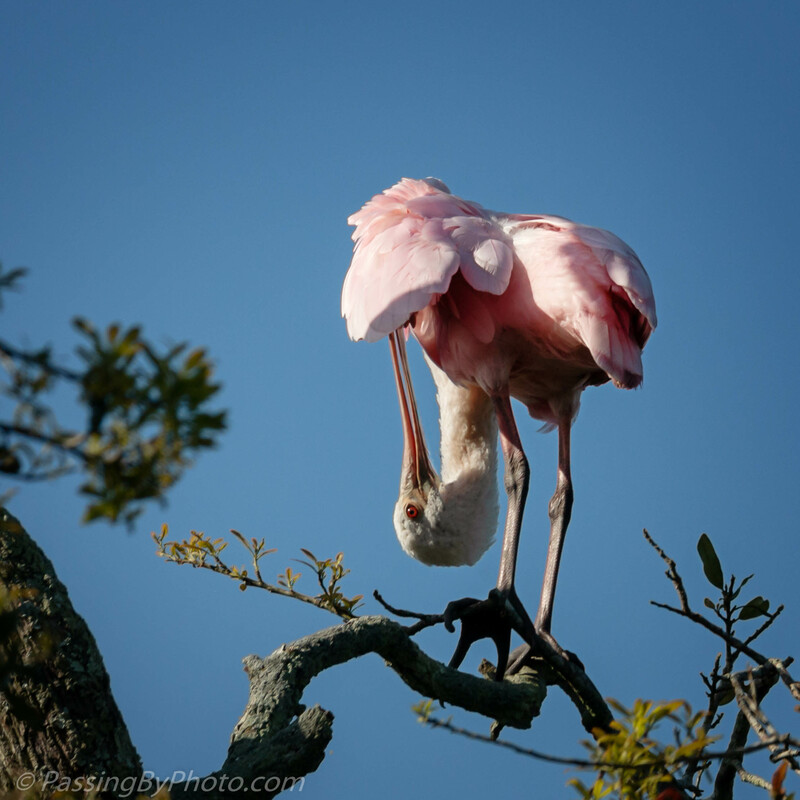 And the ultimate in flexibility as demonstrated by a Roseate Spoonbill. Inspection done, all is good. 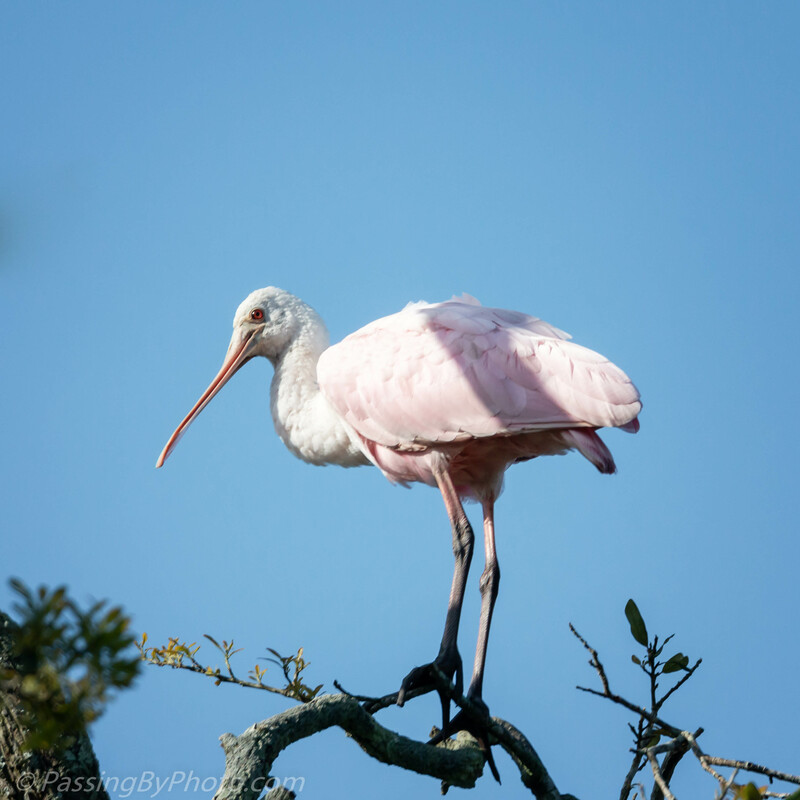 Nicely done, by both the Roseate Spoonbill and you! Thanks, Donna! This was an unexpected treat after finding the usual spots empty.